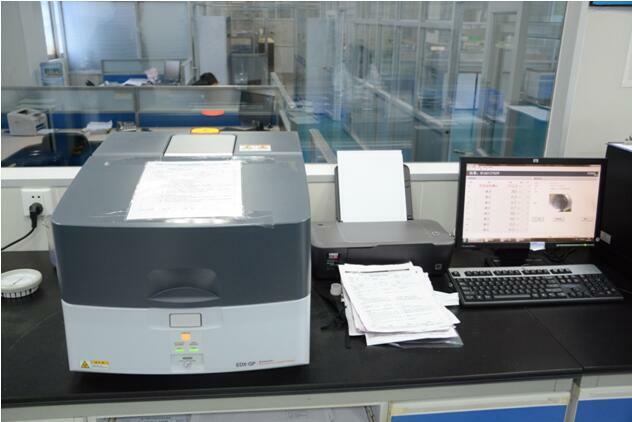 The X-ray fluorescence analyzer is mainly used for screening the content of chemical elements in the semi-finished products, finished zippers and certain raw materials, including lead, cadmium, chromium, mercury, arsenic, barium, antimony and selenium as well as analyzing the unknown components in the samples. This surface scanning method will not cause any damage. 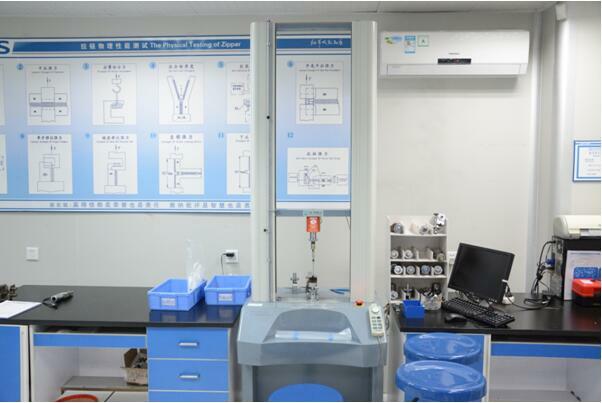 The electronic universal tensile testing machine is used for testing the anti-tensile strength and elongation of the copper wires, welding wires, plastics, polyester yarns and steel belts based on different fixtures. 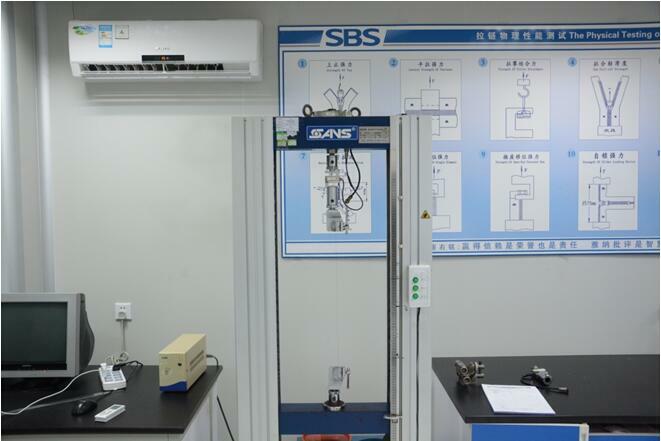 The tensile testing machine is used for testing the physical properties of the finished and semi-finished zippers based on different fixtures in accordance with such standards as BS 3084, ASTM, D2061, QB/T 2171-2173, SBS standard, etc. 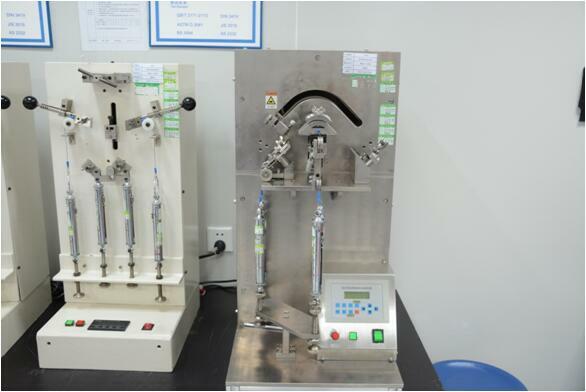 The zipper reciprocating testing instrument is used for testing the anti-fatigue performance of the zippers through the reciprocating opening and closing of the zipper sample under the vertical and lateral tension. 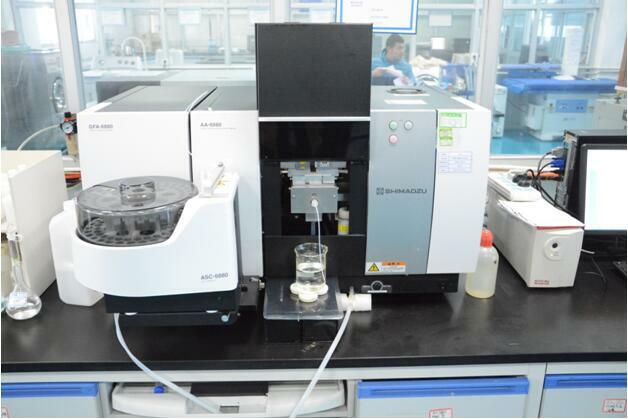 The atomic absorption spectrophotometer is mainly used for testing the content of harmful heavy metals involved in such raw materials as zinc alloy, metal accessories, paint, etc. as well as the content of heavy metals contained in the textiles. 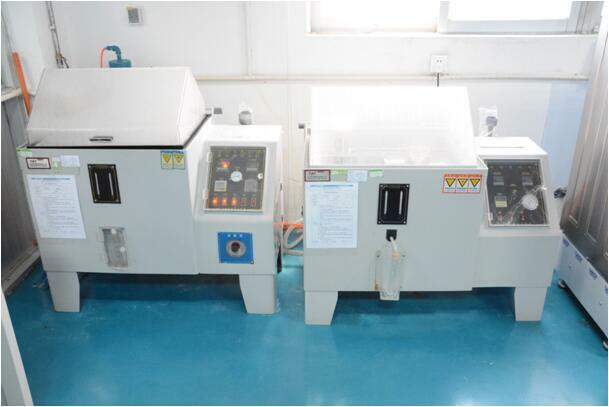 The salt spraying tester is used for testing the corrosion resistance performance of the metal zippers and electroplated sliders. The concentration of sodium chloride falls between 1% and 5%. 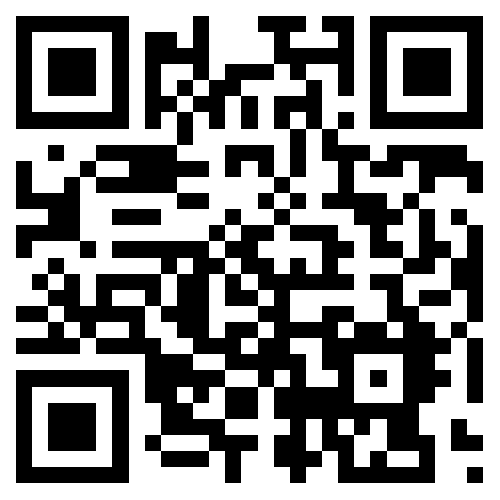 And the test time varies from customer to customer. 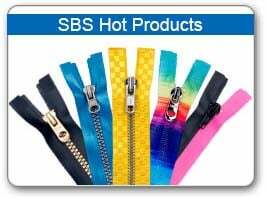 The TEMP&HUMI chamber is used for testing whether any color transfer would occur to the zipper teeth, tape and fabric provided by the customers under constant temperature and humidity conditions for a certain period of time. 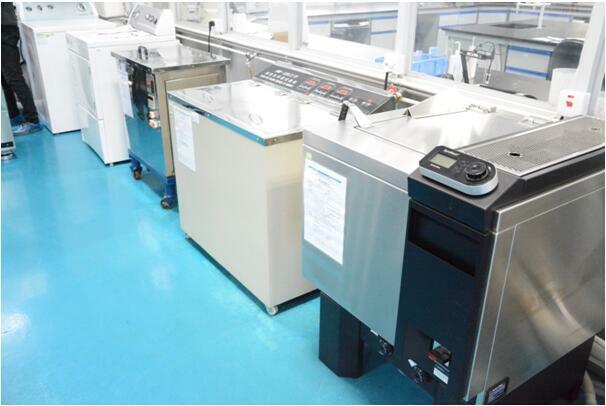 The washing fastness tester is used for testing the color fastness of the tape being washed as well as the adhesive force of the surface paint and oxide layer of the sprayed/electroplated sliders and metal zippers. 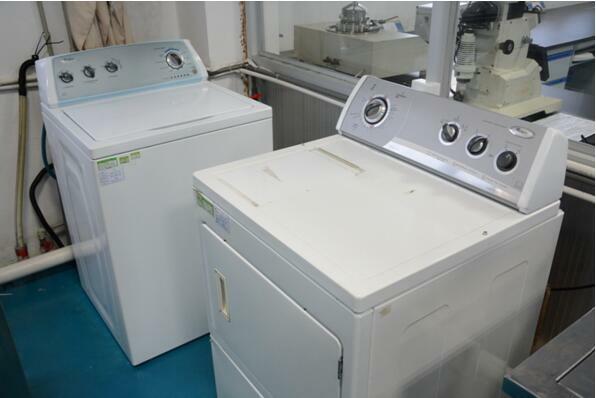 The ISO standards washer and dryer is mainly used for inspecting whether any peeling(paint), wear and tear, and other changes would occur to the sprayed/electroplated sliders, metal zippers, etc. 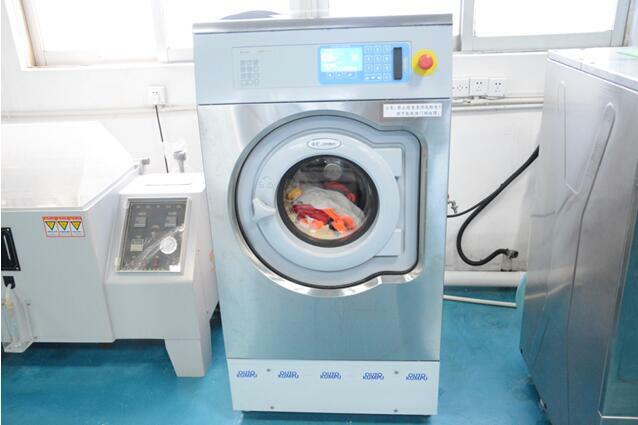 based on the simulated garment washing test carried out. 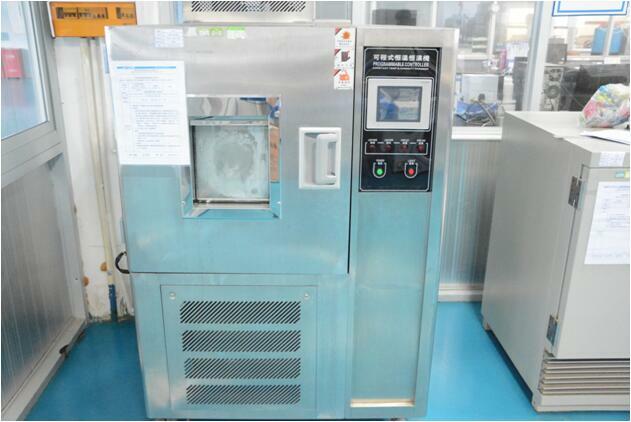 It is also used for inspecting the influence of shrinkage on the elongation of the zipper products based on the simulated garment shrinkage test performed. 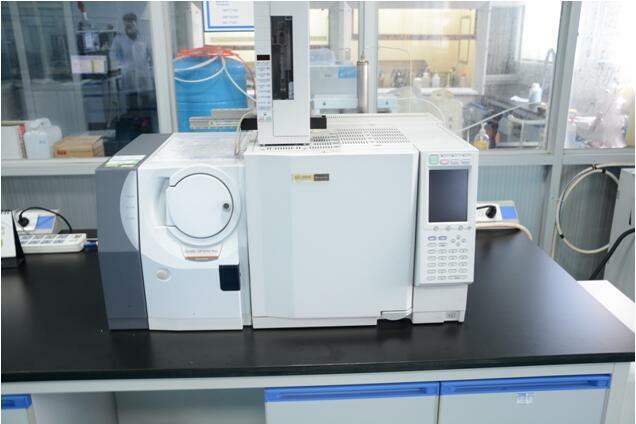 The gas chromatography mass spectrometry instrument is used for the rapid detection of organic compounds in such raw materials as the toner, color paste, plastic particles, paint, etc. including azo dyes, phthalate, chlorinated phenols, polycyclic aromatic hydrocarbons, brominated flame retardant, organic tin compounds, dimethyl fumarate etc. which are prohibited.